Vice Chairman; Senior Manager- Child Welfare Information Gateway. Alumnus of foster care. D'Artagnan Caliman is a Senior Manager for the Gateway and manages the Digital and Web Services teams (a subcontractor of the Children's Bureau). 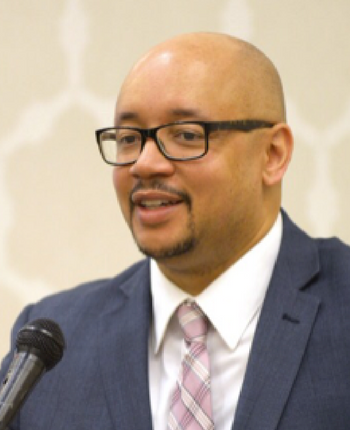 Prior to this, D'Artagnan was Chief of Staff for Social Services Administration for the state of Maryland and led the CFSR, legislative session, partnerships, and transition programs. He also worked at Casey Family Programs for 15 years, in both direct practice and systems improvement, to improve child welfare at a national level. While at Casey, he led initiatives related to expediting legal permanency, alumni and birth parent federal policy partnerships, and tools for supporting the racial and ethnic identity of youth. D'Artagnan and his sister are alumni of foster care from OR state. They remained in care together for over two years, including kinship and foster homes, then reunified with their birth mother. Their mother went on to work in WA state as a CPS worker. D'Artagnan holds an MSW from Portland State University.